Brother Fax parts,Brother Fax Machine part, Brother Intellafax part, Brother Drum Units , Brother Printer Parts, Brother Fax Fusers, All the Brother Parts You Need. Call the World of Fax Order Hotline at 1-866-FAX-PART (1-866-329-7278) for Helpful Order Assistance!!! 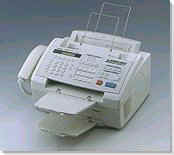 Brother Fax & Printer Parts, Click On Model # Below To View Full List of Parts. Please Call if You Don't See What You Need.